JS Building Contractors provide brickwork services throughout Yorkshire. Our highly skilled bricklayers have a wealth of experience when it comes to building, combining speed with quality to produce a top spec finish to any kind of brick or stonework building. 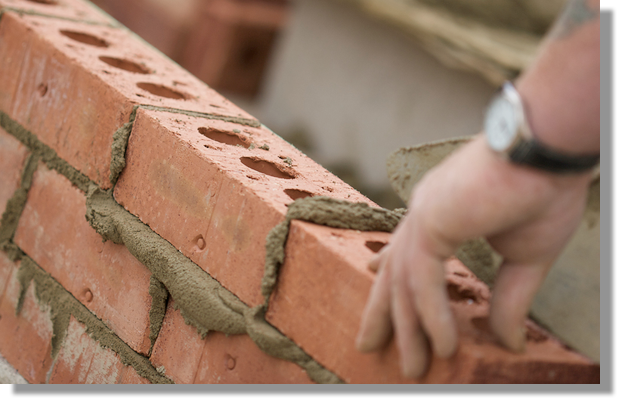 We are brickwork contractors that can provide bricklayers for anything from a garden wall or a home extension, right through to new build and office buildings. We are members of the Federation of Master Builders and every project is over seen by company director, Jason Stead, himself a time served bricklayer.